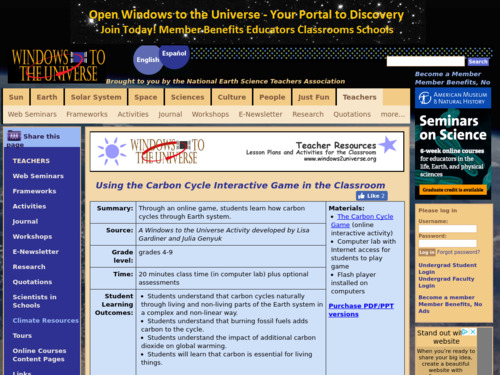 In this visualization, students can explore North American fossil fuel CO2 emissions at very fine resolutions of both space and time. 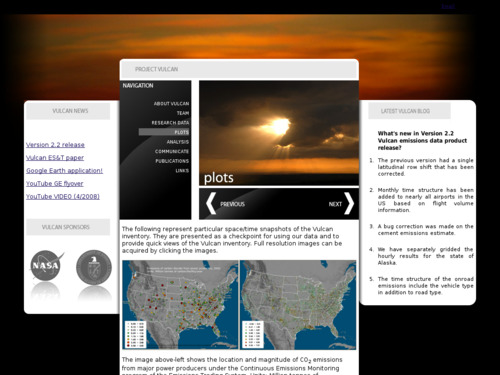 The data is provided by the Vulcan emissions data project, a NASA/DOE funded effort under the North American Carbon Program. 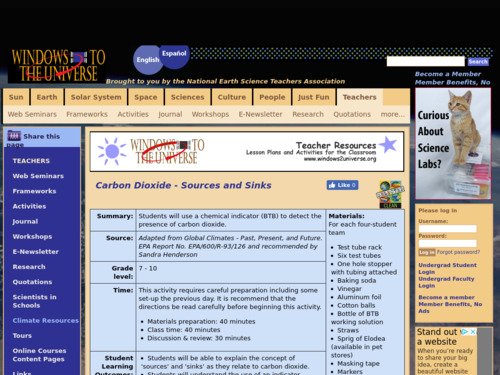 In this lab activity, students use a chemical indicator (bromothymol blue) to detect the presence of carbon dioxide in animal and plant respiration and in the burning of fossil fuels and its absence in the products of plant photosynthesis. After completing the five parts of this activity, students compare the colors of the chemical indicator in each part and interpret the results in terms of the qualitative importance of carbon sinks and sources. 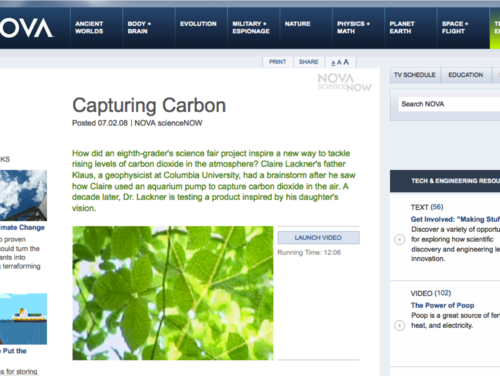 This PBS video shows how Klaus Lackner, a geophysicist at Columbia University, is trying to tackle the problem of rising atmospheric CO2 levels by using an idea inspired by his daughter's 8th-grade science fair project. 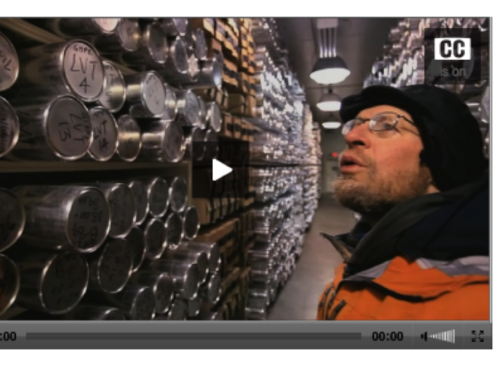 The video examines the idea of pulling CO2 out of the atmosphere via a passive chemical process. 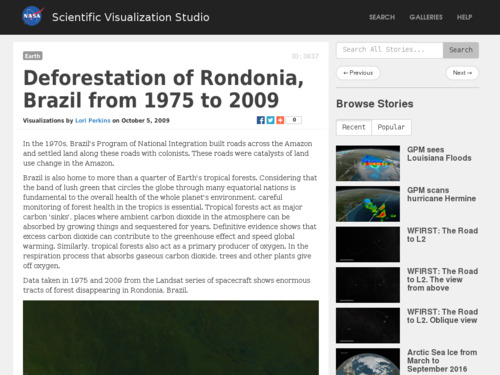 This NASA animation on land cover change zooms into Rondonia, Brazil. It starts with a Landsat satellite image taken in 1975 and dissolves into a second image of the same region taken in 2009 that illustrates a significant amount of land use change. 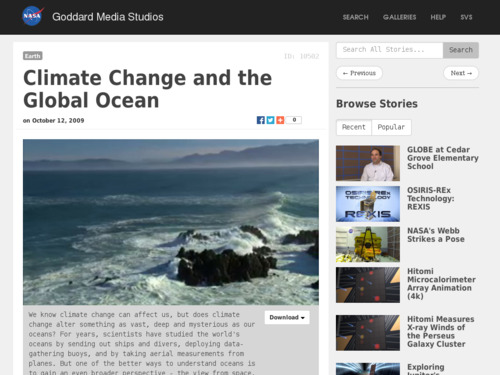 Video presents a broad overview of what (NASA) satellites can tell us about how climate change is affecting oceans. 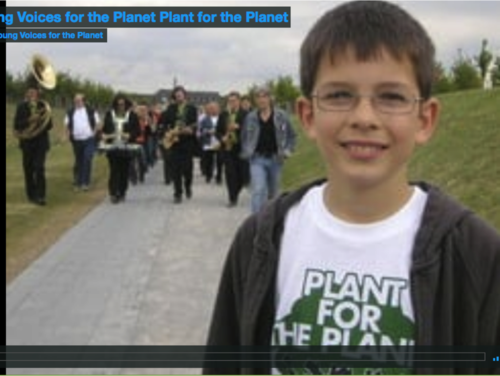 This video describes the foundation Plant for the Planet, a foundation created by a 9-year-old German boy, Felix. This foundation has planted more than 500,000 trees in Germany, which he says help sequester carbon and reduce greenhouse gas emissions. The student rallies, first his community and then other children, to plant millions of trees to offset our energy-use emissions. 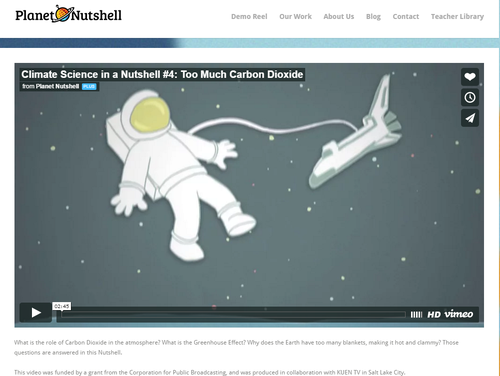 This short animated video provides a general overview of the atmosphere, carbon dioxide, and the greenhouse effect.